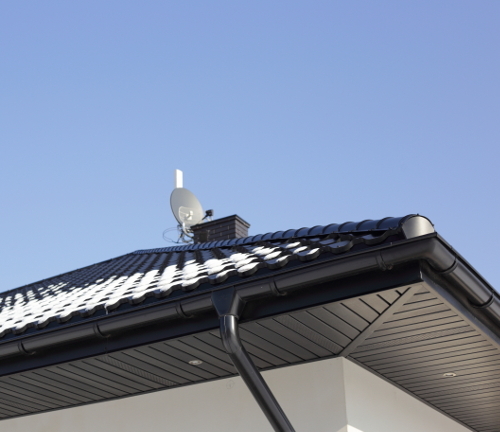 We have over 25 years of accomplished experience in cleaning gutters, guttering installations and gutter repairs. Ashford J T Roofing have built up a solid reputation for reliability, competitive prices and a friendly service, taking a real pride in quality our first class workmanship with each job we complete. We always treat your property as if it was our own, cleaning up after each job, creating a clean working environment. Guttering and downpipes are made to flow rainwater away from your property, therefore protecting the foundations and preventing water damage. If rainwater leaks from your gutters it can cause severe structural damage and serious deterioration to your property. It is always a good idea to keep your guttering and downpipes in good condition, this extends the life of not only your guttering but will prevent water damage too. We recommend that you have your guttering cleaned and inspected at least once a year, with the best time being in autumn. Without the correct maintenance, damp and deterioration can occur by sagging, blocked or even damaged guttering, which in turn can lead to costly repair work. If you maintain your guttering regularly it could avert the need to spend hundreds or in extreme cases thousands of pounds in the future. If you would like a quote from the guttering professionals in Ashford, Kent, call Ashford JT Roofing now. You can contact us by calling on 01233 620134, or by sending your queries via our handy contact us page.